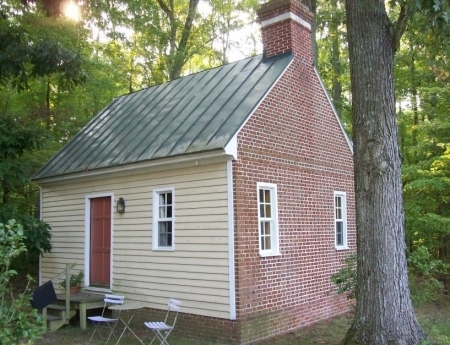 This small one bedroom vacation rental house was built about 1720. 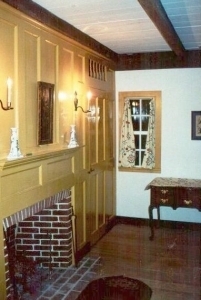 It has been beautifully restored and modern comforts have been added such as air-conditioning and a gas furnace. Flat Branch house has a queen bed, and a TV room. The bathroom has a shower and a separate tub. It has a microwave, refrigerator, coffee pot, and cable TV.